The FIA has now published a Q&A document on the cost capping decisions made by the WMSC and it can be found here. It makes for an interesting read but contains no real surprises; I had my say on the matter yesterday so will not go into it in detail for the moment. Two main philosophies have emerged, either i) reduce activity levels through very restrictive technical rules, plus a degree of standardization if required; or ii) restrict the money that teams are allowed to spend (cost capping). This seems to indicate that Max has abandoned his plans for standardizing everything in sight. Apparently, it is now regarded as an option that falls away if the budget cap is put into effect. We can all breathe a sigh of relief at that but I find it amusing that the most tangible remnant of the drive towards standardization is the Cosworth engine. It was the result of Mosley's putting out to tender the task of supplying a standard engine in the future. 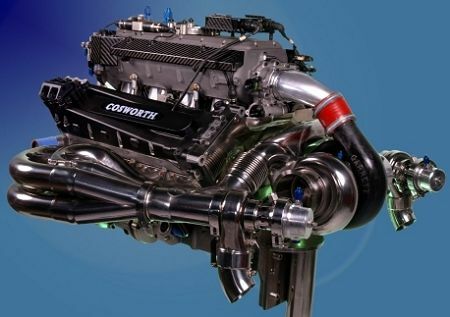 Cosworth won the contract but it seemed a bit of a pointless exercise at the time, there being no obvious takers for such an engine. Since then, the landscape has changed with the possibility of several new teams entering the sport, all of whom have indicated a preference for the Cosworth as their power plant. Cosworth were always the most likely winners, already having a suitable engine that had distinguished itself by being the first to achieve 20,000 rpm in F1. With the restraints on engine development imposed since Cosworth's departure from the sport, the engine remains a viable alternative to supply by an existing manufacturer team. I simply don't understand how anyone could strategize and budget for an F1 season when the rules change faster than the cars can be refined. I'm not opposed to cost capping or cost reduction. I am opposed to the sudden and forced implementation of such a system. Max is constantly keeping FOTA on the back foot, which works in his favor, but it continues to damage the integrity of the sport! I really hope FOTA has something up their sleeves. I love the ideas of unrestricted engineering solutions for cost capped teams. There are some really exciting possibilities. If the cap is pushed through, the introduction of Cosworth as a supplier may be a necessity seeing as the current engine suppliers are associated with manufacturer teams with massive budgets, who don't like to be beaten by their customers. It is wonderful that Max may be relinquishing his stance on standardization (big sigh of relief). I can see one potential problem with the new teams using the cosworth engine and that is the fact that the engine development has been frozen in F1 but obviously cosworth, not being in F1, have not had that restriction in development of the new engine. So potentially the new teams will have a performance advantage that the other teams will not be able to meet. Surely the FIA would have to free up development on engines in order to allow cosworth to join the show in a fair environment. Unfortunately though this would still mean that the new teams would be able to spend all of their development money on the cars while the manufacturer teams would have to spend some of theirs on the engine development? Also can the manufacturer teams offset their development costs with the sale of engines to other teams? This is a total mess of the FIAs creation. Lee: You are quite right. The more these incompetents tamper with things, the deeper into muck they go. They are like doctors, in total denial of side effects to what they prescribe. They are of the same breed as ex president Bush. They shoot without thinking. When there time is done, the mess left behind will be the same as any of the huge, poorly managed, wall street behemoth that has gone into bankruptcy. Before the teams have time to come to grips with one set of rules, and the cars evolve to being the best they can be under said rules, the hyperactive madman plays with them. In doing this we never see the true potential, bad or good, to what's been altered. If no rigorous analysis is done to the incremental changes, or they are not allowed to run their course, there is little way to know exactly where things are heading. Lee: As far as I'm aware, the Cosworth engine will be the same that was last used in F1 by Williams in 2006. I doubt very much that the company has done any development on it since, there being no point since it was not used in any form of racing. So it would be available just as it was back then, complete with 20,000 rpm limit! The FIA has indeed freed up development of engines - for the budget capped teams. The others would have to struggle on with the 18,000 rpm limit. And engine development costs are not part of the cap for 2010 - so the manufacturers can make changes in the name of reliability but not to extract more power. It all amounts to a huge advantage to new teams taking the Cosworth engine option. Hi guys. Nothing in the world can take the place of Persistence. Talent will not; nothing is more common than unsuccessful men with talent. Genius will not; unrewarded genius is almost a proverb. Education will not; the world is full of educated derelicts. Persistence and determination alone are omnipotent. The slogan 'Press On' has solved and always will solve the problems of the human race. I am from Nigeria and now teach English, tell me right I wrote the following sentence: "Dana lookadoo conversational seo consultant ann smarty seo specialist and writer at search.David naylor heads up a team of in house seo web developers, web designers, and technical staff within his company, bronco internet." Thank you so much for your future answers :P. Abe.